Vue Packs (V-Cups) are larger sized single serve coffee pods from Keurig and designed to be used in their Vue Coffee Brewing System. Vue allows users to brew a more customized cup of coffee that can vary in size and strength. Vue Pack (V-Cup) caffeine content can range between 150-210 milligrams depending on the variety of Vue Pack chosen and the brew setting chosen. How Does Keurig Vue Pack Compare? 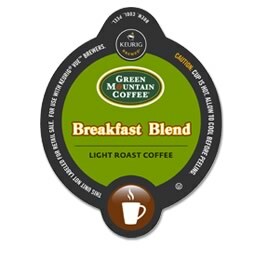 Keurig Vue Pack contains 15.00 mgs of caffeine per fluid ounce (50.72mg/100 ml).